Out of everything I collect, people are always the most surprised about my small cache of vintage Steiff. 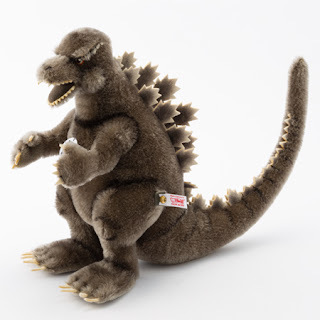 Nestled in between designer toys, World's Fair momentos, and whatever other weird stuff that I find, are these amazing German stuffed animals that for some reason I am obsessed with. The craftsmanship is impeccable and with the vintage ones I enjoy the fact that I can preserve an object that someone many years before me had loved. See, it's not all sarcasm. It is most of the time, but I have my moments of sentiment as well. I've been coveting this Godzilla since it was released exclusively in Japan some time ago and now it has finally made its way to America. The King of the Monsters is available right now for $699.00 from http://www.steiffusa.com. 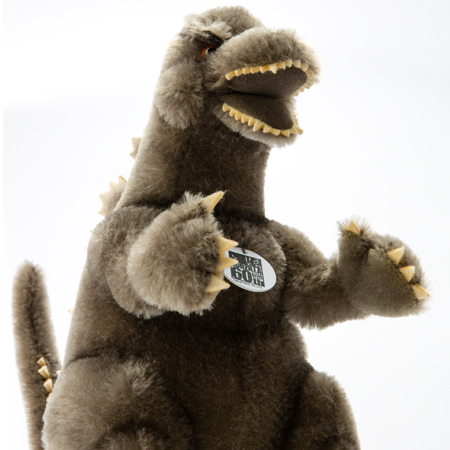 Oh, and you can save $100 right now by using the coupon code "Godzilla".